My buddy Randy and I got together to produce a kind of louche synthpop that I referred to as Newest Wave owing to the fact that it's influences mostly come from the period between 1977-1982 in Europe, especially Great Britain and Germany. 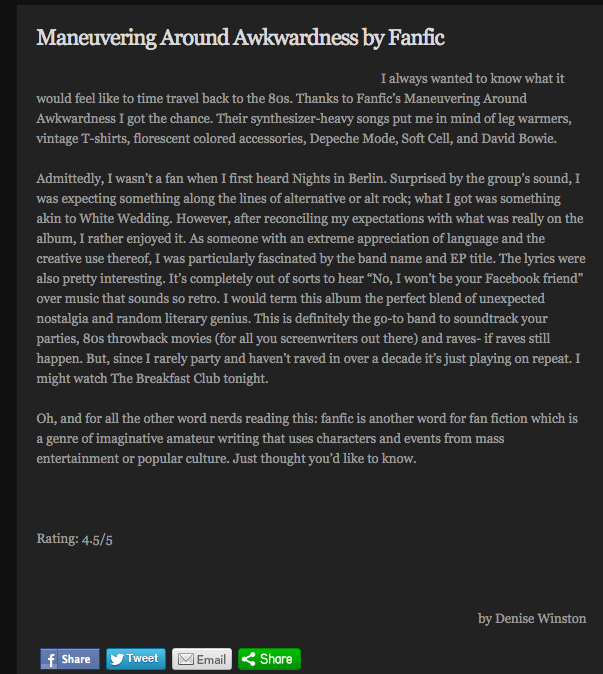 Calling ourselves FANFIC, we produced an album in 2012 which was pretty well-received in some quarters. We may do another one if either of us ever finds the time - there's tons of stuff in the can waiting final polish. I also sang in a rock band called 100 Proof in high school and college, and we've been talking about making some more music recently. Our bass player, Dr. Paul Haynes, is a jazz genius with several albums under his belt, and our guitar player, John Hill, has an rock instrumental record available as well. "Firmly in touch with it's inner goth but finding rays of hope in pop music the band construct songs that Joy Division wish they wrote, OMD would have written in 1982, and VNV Nation would dance to now." "I love how they reference an influence as 'Ministry's first album'...brilliant! Fanfic will certainly appeal to true synthpop fans." 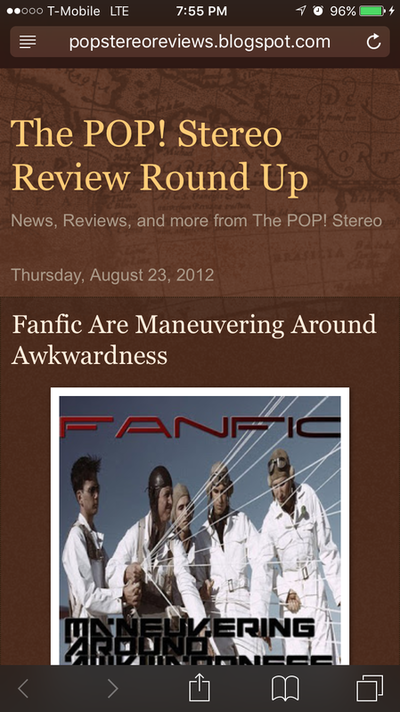 "Fanfic have some interesting new input to add to the world of electro-pop. The listener is transported to a dance floor in the middle of Berlin, as the warming tones wrap around the room. 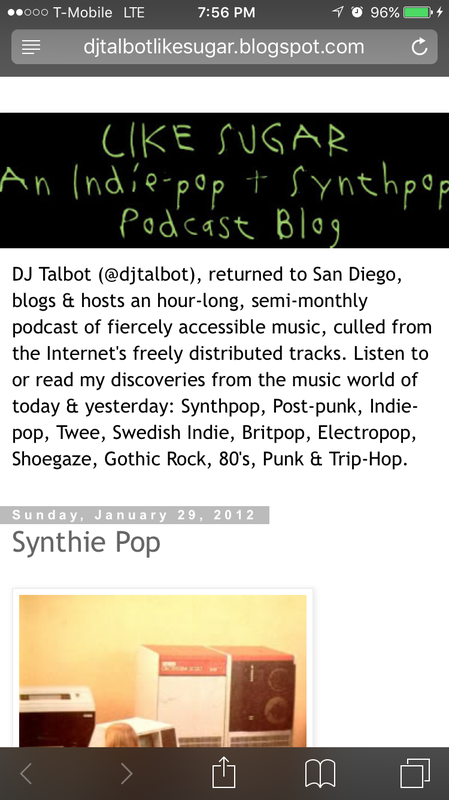 The duo are skilled musicians who have been able to bridge the Atlantic with lyrics and music meeting in a sonic boom."